The root of horseradish has been used for thousands of years in herbal medicine as a remedy for many different physical ailments, but unfortunately, most people nowadays think of it as just another condiment for their roast beef dinner or sandwiches. Besides the added flavor, there is a very good reason that it should be eaten with meats—it’s a very powerful digestive aid that helps the body break down the toughest of proteins. 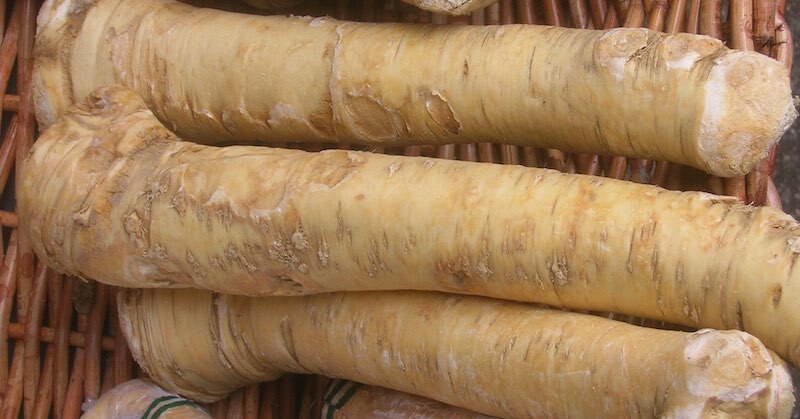 Horseradish can be purchased at health food stores and grocery stores or better yet, grown at home. Horseradish is easy to grow, all that is needed is a piece of an existing root. Plant it in soil, add a little bit of water daily and watch it grow! It will be ready to dig out before the first frost in the fall. Antibiotic: Horseradish has been proven to be very effective against infections. It is useful in destroying bad bacteria that cause bronchitis, coughs, colds, ear infections, the flu, strep throat, pneumonia and urinary tract infections. Anticancer: A study done at the University of Illinois found that due to its high level of compounds called glucosinolates, horseradish helps the liver detox carcinogens while suppressing the growth of tumors and preventing the formation of new tumors. Horseradish has also been found to aid in the prevention of many types of cancers, most commonly lung, colon and rectal cancers. Digestive health: Horseradish has been known to aid in digestion by helping the intestines secrete digestive enzymes and stimulate the appetite. Immune system booster: The high levels of vitamin C in horseradish makes it a powerful immune booster as well as an antioxidant. Eating horseradish stimulates the immune system by heating the body from the inside. Pain relief: Horseradish has been proven to stimulate blood flow to the skin’s surface as well as inflamed areas, helping with headaches. It can also be used topically to soothe muscle pains and joint inflammation and discomfort. When chewed it can also help relieve tooth pain. 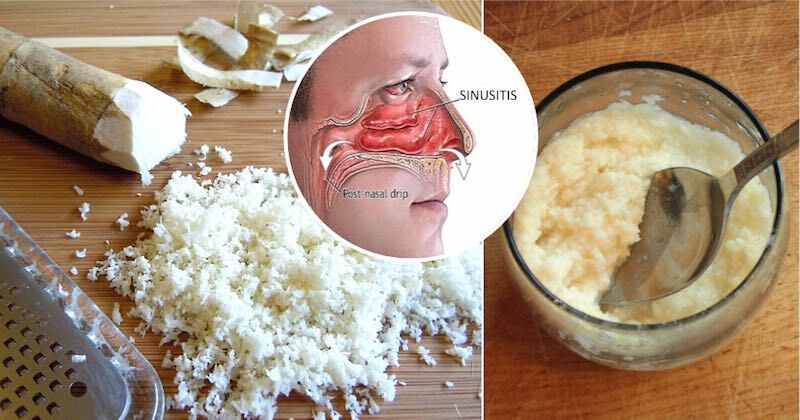 Sinus relief: Horseradish is an effective treatment for sinusitis. Sinus infection is caused by a build up of mucus in the sinuses. Juice from horseradish has been known to ease sinus discomfort and clear up sinus passages by thinning out the mucus and preventing more mucus accumulation. For pain relief: Use raw leaves and place them on the painful area, such as for headaches or joint pain. Horseradish flour paste can be applied over the chest to help clear congestion. For sinus and lungs issues: Grate 3 tablespoons worth of horseradish, mix with 2 tablespoons coconut oil and add a pinch of sea salt. Mix all in a small bowl and store in an air-tight container in a cool place. Eat a teaspoon of this mixture before meal to relieve sinus and lungs. Do this two or three times a day as required. For stomach issues: Grate the horseradish and press out some of the juice, or use a juicer to extract the juice. Swallow about 15 drops of this juice in between meals for relief. Horseradish tea: Seep in a cup of hot water and drink as a tea.